The Matrix42 UEM Agent Windows is the next level of the well known Empirum Advanced Agent. The focus for this software management agent is to get the best possible user experience. The end user will get a fresh and clean user interface, better options to define when software updates and rollouts should be performed so that software management does not distract or reduce productivity. 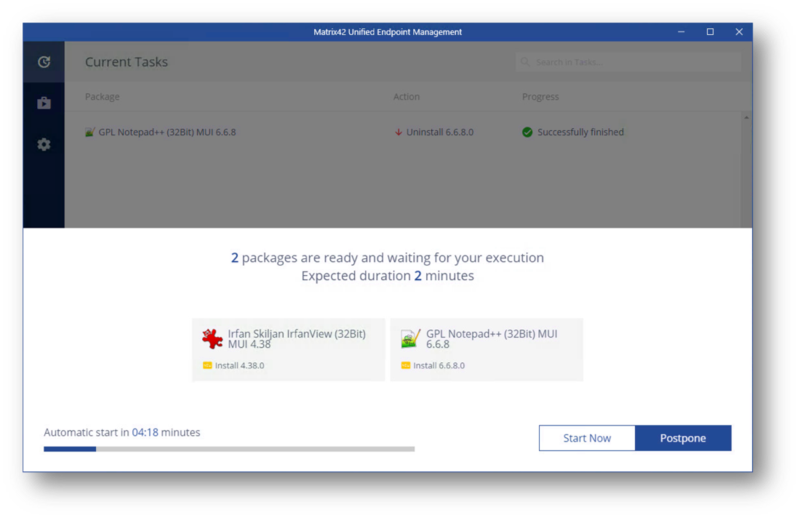 The mature and robust Advanced Agent will stay as a parallel Agent and will be supported as long as it is required to make the UEM Agent the better Agent with all required features. Our goal is that customers switch because of the new and great features by them self as soon as possible. Survey on the new features. Postponements are now based on days instead of the polling interval. Software management tasks are combined to reduce the number of faults to a minimum. If several packages are assigned, the user is shown the smallest number of postponements. If no postponements remains, all currently activated tasks are executed. How do you like the UEM Agent? Updates from older versions of the UEM Agent (1807 RC1 and older) might fail. Agent Push repairs the installation. The Advanced Agent gets downloaded even that it will not be installed when the Advanced and the UEM Agent are both assigned to a computer running the UEM Agent. Please assign only the desired Agent. Empirum 17.0.2 Customers: AskUninstallOld=1 has an issue when an error occurs during uninstallation with the global silent level /S4. Workaround: set the global silent level with a package to /S0 or /S2. This is fixed with a new setup.exe version in Empirum 18.0.2. 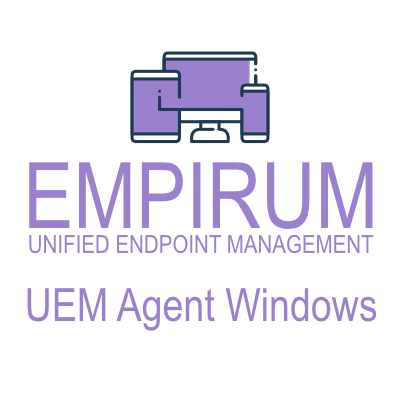 The UEM Agent Windows is provided as an exported Empirum Package. Import in the EMC->Software Management->Depot; right click in the Packages Tab-> Import/Export->Import Packages..